When I designed the Snickerdoodle's original nursery, we decided on an old west theme. 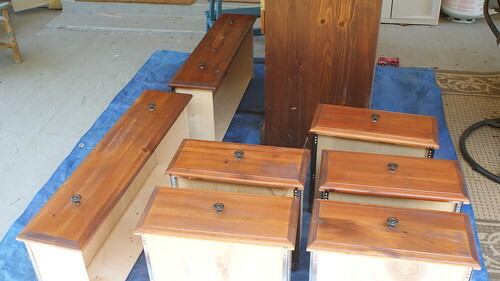 We found a great sturdy rustic-looking wood crib and changing table then purchased a pine chifforobe from craigslist and stained it to match the rest of the furniture. 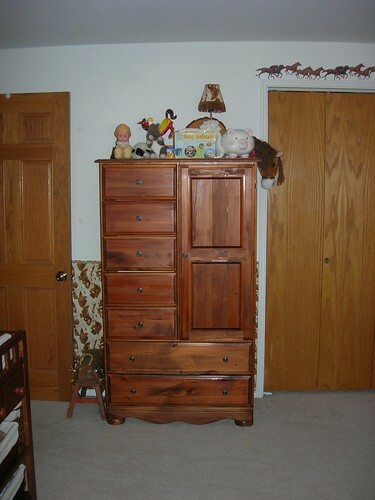 The closet you see there to the right was filled with my craft supplies so we liked the design of the chifforobe with the hanging clothing area as well as lots of drawer space. Fast forward 3 years through some babyproofing, a move and storage of the unit and it was looking a bit rough. 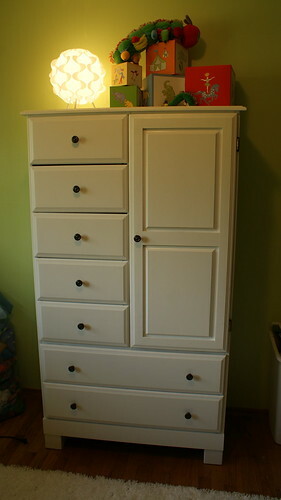 It had lots of scratches but even more prominent were the foam stickies remaining from when we stuck on drawer locks. I wanted to use it again but I knew it either needed to be re-stained or painted. 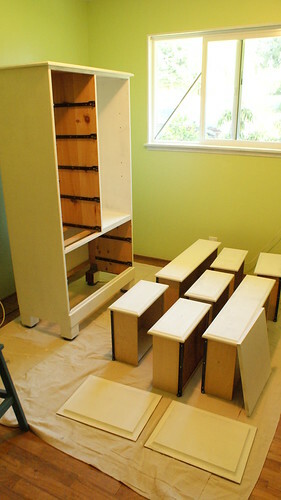 It took us about 8 coats of stain to get the right color so I knew that option was out so I chose to paint it. 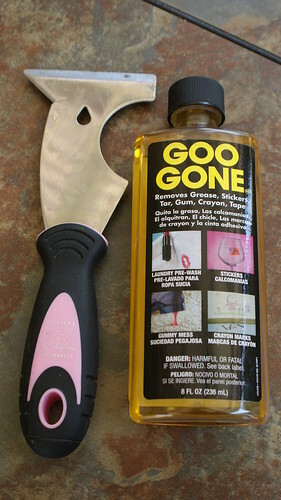 First I busted out my trusty tools and my Goo Gone to get the sticky stuff off. Ahhh, much better. I also decided that since I always HATED the bun feet on that thing and wasn't a huge fan of the scroll bottom edge, I wanted to change those too so I used some scrap wood to make the necessary changes then moved it into the nursery to prime it then paint it Olympic Paint's Delicate White in the no VOC / low odor formula. I was excited to finish all the main pieces before we left on vacation so the unit stayed just like this for a week and was fully dry when we returned. I put the hardware back on, touched up some paint here and there and accessorized her. You did such a nice job. I hadn't heard the word chifforobe in ages. I was beginning to think it was one of those words our family made up. When my girls went to college they would call me and tell me how surprised they would be when they thought everyone used certain "words" only to find out that it was a "family" thing. Just a little trip down memory lane, hope you don't mind. Thanks Addie! I don't mind at all. 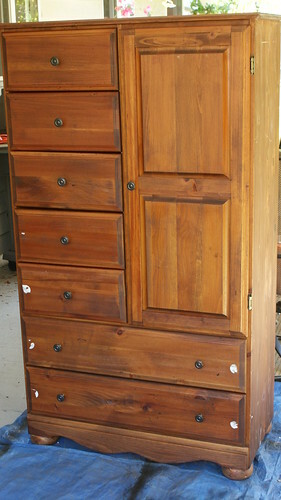 I had never heard of a chifforobe until we bought this thing. I think it was listed as such on the Craigslist listing. Of course, my spellcheck thinks I'm making it up too but wikipedia confirmed I'm not crazy. I like that my husband gave it a name though because Claudia is much easier to say (and quite frankly, causes just as much confusion with the outside world so why not? ).